[en][de][fr] ZION.T SPECIAL: Collaboration Works. Some Videos You Should Definitely Watch! Between his first single “Click Me feat. Dok2” and his full-length debut album “Red Light”, Zion.T was busy being featured on various singles and albums. His list of collaboration works is already page-filling with, luckily, no end in sight. In fact, the list is still growing quickly and we are sure that this talented guy will come up with some surprising collaboration soon. Truthfully speaking, almost every song he featured on is a listening experience itself. Maybe he is just great at doing what he can do best, which is writing and producing music. Everything he’s worked on gets this magical Zion.T touch which makes it impossible to resist replaying the song all over again. We tried to pick out some of his best collaborations, either as an artist who was featured or as somebody who features others in his own works. Either way, you will be able to hear this special Zion.T magic I was talking about. Even though we have already introduced “Click Me feat. Dok2” earlier this week, we have to put the singer’s debut single on top of our “recommended collaborations-list”, too. In all fairness, Zion.T and Dok2 simply managed to create an absolutely wonderful track which helped the new rising star to amaze both his already existing as well as completely new fans. Further, let’s not forget this clever advertising strategy when he advices you to click on his track! The next song on our list is one of Zion.T’s most important collaborations when it comes to his career. Right after the release of “Click Me”, the singer received a phone call from Simon D, a veteran rapper and hip-hop artist under Amoeba Culture. Back then, Simon D was about to release his first solo full-length album SNL League Begins, but was still looking for an interesting singer to collaborate with. 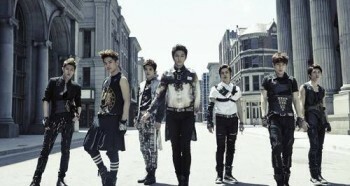 Luckily, his choice fell on Zion.T and the guys recorded “Stay Cool” straight away. Hence, this song set the beginning of Zion.T’s musical journey with Amoeba Culture. After Simon D’s work with Zion.T on “Stay Cool”, another love call from one of Amoeba Culture’s talents found its way to the young vocalist: Primary, widely known as one of Korea’s genius producers, was looking for a new rookie artist to feature on his upcoming album Primary and the Messengers. Hearing this, Simon D immediately recommended Zion.T as he recognized his great talent while collaborating with him before. The first song Primary and Zion.T worked on was “Meet (만나)”, a song which flatters Zion.T’s smooth vocals and belongs to the swing genre. “Meet (만나)” led to some other great tracks released by the super-duo “Primary & Zion.T”. The next song on our list is “See Through (씨스루)”, a song which was initially composed by Zion.T and was meant to be released on the singer’s debut album. However, as he was not signed under Amoeba Culture back then, it naturally ended up on Primary’s album instead. Also, in contrast to the original draft, the final version carries a different feeling as Primary’s beat was arranged with Zion.T’s melody and refrain. The lyrics, though, remained the same. As a special gimmick, label mate Gaeko (개코) of Dynamic Duo decided to feature on the track as well. See Through (씨스루)’s music video captivates its viewers with cool neon colors and an 80’s style cinematography. “? (Question Mark; 물음표)” is the third “Primary & Zion.T” collaboration work. This time, the duo got support by Choiza (최자), another label mate and member of the famous hip-hop duo “Dynamic Duo”. As usual, the song is super catchy and will lighten up your mood immediately! Zion.T can do extremely well in your everyday K-pop as well! He impressively proved this with “Without You (니가 없을 때)”, a track that was released by INFINITE H and features the talent not only as a singer but as a producer too. If you are not familiar with this song yet, you should definitely click on the video below. In addition to some great music, you will be rewarded with some great eye candy! Before the release of his debut album, Zion.T teamed up with fellow VV:D crew member Crush. He, who is doubtlessly a talent we should look out for as well, featured on “Two Melodies (뻔한 멜로디)”, one of Zion.T’s rare RnB ballads. Both of them were complimented by Bigbang’s Taeyang last year and we seriously think that it’s time for them to work on some collaborations as well! Number eight on our list is the title track of his debut album Red Light. “Babay feat. Gaeko of Dynamic Duo” is super catchy and one of the best title songs we have heard last year. So without further ado, check out the crazy yet funny music video below! 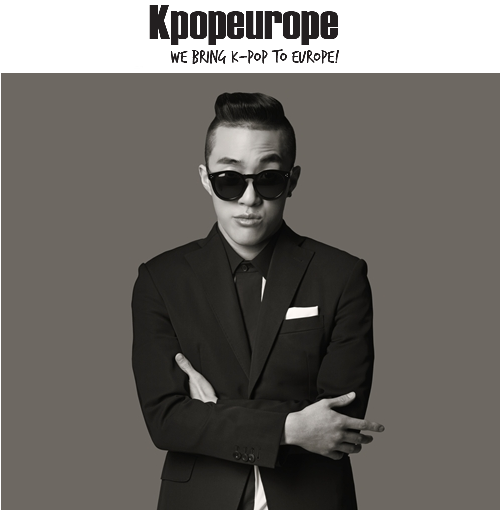 Rhythm Power, one of Zion.T’s label mates, “lovingly ordered” the singer (and Primary too, actually) to help them out for their single “The Trio – Stage One” which was released in August 2013. In detail, Mr. Skinny Red featured on track number two: “Bond Girl” is the EP’s funky leading track and has this special happy-go-lucky attitude, which makes it a great listen. Our last recommendation is one of his recent collaborations. Here, Zion.T is returning the favor of Gaeko and Choiza with featuring on their seventh album Lucky Numbers. Thus, last year the three of them released an awesome hip-hop track called “Three Dopeboyz (쌔끈해)” which was also honored with a cool music video. This song is a powerful Dynamic Duo track with the addition of some typical Zion.T flavor. We are aware that Zion.T has far more great collaborations, but it is near to impossible to list every one of them in one article. However, we do hope that we were able to help you find one or two new favorites which make it on your personal music player list. If you liked this article, please be so kind and leave a comment for us below. 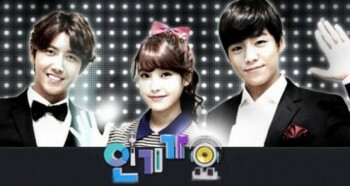 [en][de] Performances from the January 20th episode of SBS ‘Inkigayo’!